A federal jury has ruled in favor of the estate of an Army veteran who died on the floor of a jailin Tulsa, Oklahoma. Elliott Williams broke his neck and was lying naked and paralyzed for 51 hours. The county is ordered to pay the family $10 million. On Monday, the jury returned after deliberating for around 10 hours and found that Williams’ civil rights were violated by both the Tulsa County Sheriff’s Office and former Sheriff Stanley Glanz, who was ordered to pay the family an additional $250,000 in punitive damages from his own pocket. Williams, an Army veteran, was arrested by Owasso police after suffering a mental breakdown. His only alleged crime was a misdemeanor for obstruction, but Williams died in custody before the formal charges could be filed. During the first day of the trial, jurors saw the last 51 hours of William’s life captured by the jail’s surveillance cameras. 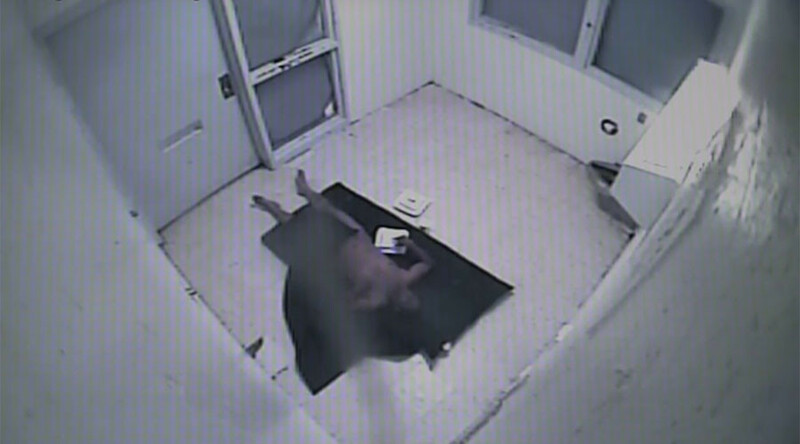 The graphic video, which was sped up to only last 10 minutes, shows Williams lying motionless on the floor while detention and medical staff walk by, ignoring his cries for help. Guards throw food into his cell and place water just out of his reach. Medical staff allegedly attempted to revive Williams, but Dan Smolen, an attorney representing the family, called the medical staff’s CPR attempt “cosmetic resuscitation efforts,” according to the Frontier. “Elliott Williams had been dead for hours,” Smolen said, adding the medical staff knew there was a camera in the cell. The Williams family accused Glanz and the Tulsa County Sheriff’s Office of being deliberately indifferent to Williams’ medical needs and sued for $51 million in compensatory damages - $1 million for every hour Williams was lying in the cell where he died. Defense attorney with the sheriff’s office, Clark Brewster, claimed that the video was cut and failed to capture times when Williams was eating, drinking and moving. While jail records indicate that Williams was eating and receiving medical attention, the video shows a very different picture. “We believe that this prolonged and reckless neglect, in the way that they treated Elliot Williams in the Tulsa County jail, really constitutes one of the worst civil rights violations in US history,” Smolen said. Kevin Williams, Elliott’s older brother, cried as the verdict was read. While he said he is content with the decision, he still wishes that someone would have gone to jail over the way his brother was treated. "Somebody should have went to jail. Somebody should have been charged. So, I'm not satisfied fully, but I'm content with the decision," he said.